Edwin Ting (pictured) will serve time in prison for his role in the massive gambling ring that operated across the US and laundered over $100 million in illicit profits earned from illegal bookmaking and high-stakes poker games. Ting, 42, was sentenced on Tuesday in Manhattan Federal court to five months in prison and ordered to forfeit $2 million. According to US attorney Preet Bharara, Ting played a significant role in the criminal network, running underground poker games where pots regularly grew to over six-figures. Ting originally faced a stiff 30-year sentence when authorities charged him with operating an illegal gambling business and money laundering conspiracy last April. In September, the poker player pleaded guilty to the sole charge of running an illegal gambling business, agreed to the multimillion-dollar forfeiture, and faced a much lighter five-year prison term. According to the New York Daily News, poker players at Ting’s private games didn’t actually carry cash out of fear that they would be robbed. Instead, they played on credit and relied on Ting to calculate who owed money and who won money and make sure the appropriate payments were made. Those payments were not always easily collected and sometimes the organization would have to resort to intimidation and violence to make sure players paid up. Kirill Rapoportand Arthur Azen were two of the organization’s debt collectors and recently pleaded guilty to charges involving illegal poker games. The pair allegedly contracted Mixed Martial Arts fighters to intimidate players who refused to pay their debts. According to authorities, Ting was also responsible for recruiting whales to play in the exclusive games. He would then take advantage of these juicy targets by staking professional players on credit. Later, he’d allegedly receive a cut of the profits. 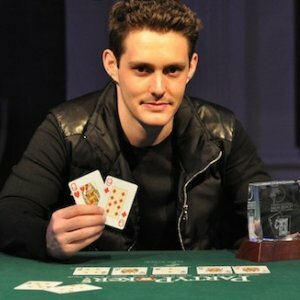 One such pro was Justin Boosted JSmith (pictured), who appeared alongside Ting and copped his own plea for the charge of “accepting a financial instrument in connection with illegal internet gambling.” Smith was sentenced to three months of home confinement and ordered to perform 200 hours of community service. But, authorities didn’t buy it, especially in light of the fact that Ting was jailed on a similar illegal gambling business charge in 2005. He “plainly thought nothing of breaking the law again,” said the FBI. Ting was no stranger to high-stakes poker games, legal or not. He could be seen regularly at exclusive Las Vegas card rooms like the Ivey Room at Aria and boasted over $80,000 in tournament cashes, his biggest coming at the 2008 WPT Championship for $39,570, according to the Hendon Mob. The Feds contended that Ting was part of the Taiwanchik-Trincher Organization, the criminal enterprise named in part for the heavy-hitting Russian mobster Alimzhan Tokhtakhounov. The organization operated under the protection of Tokhtakhounov, “who is known as a ‘vor,’ a term translated as ‘thief-in-law’ that refers to a member of a select group of high-level criminals from the former Soviet Union,” read the DOJ’s original indictment. Tokhtakhounov was charged in the case, but is believed to be hiding out in Russia. In total, 34 people connected to the organization were indicted by US authorities, 25 of whom have already chosen to take plea deals in lieu of facing trial. From those individuals alone, the US Government will collect more than $68 million in forfeitures. 5 months or 5 years. gawd! fulltilt owners get convicted for stealing millions and get no jail time. asian dude gets 5 months for being an honest businessman in the grey area?? ?